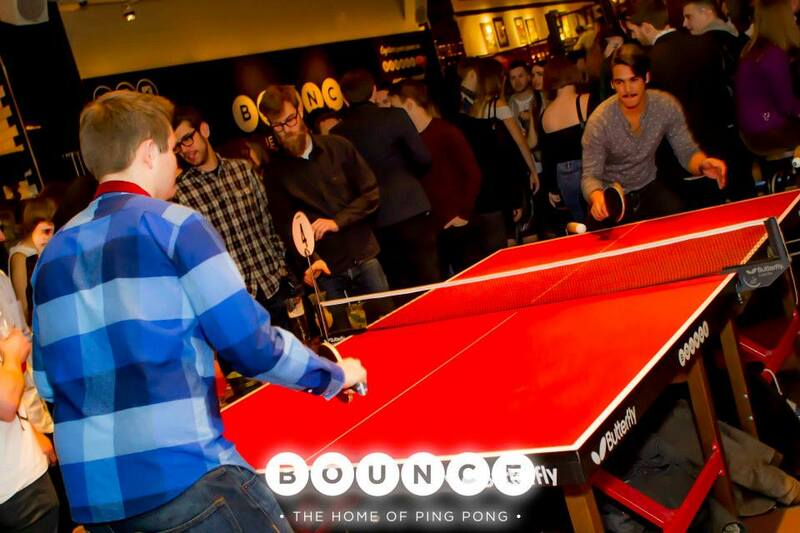 Gone are the days where bars are a place for drowning your sorrows, now you can get together with a group of friends and kick their butts at ping pong! 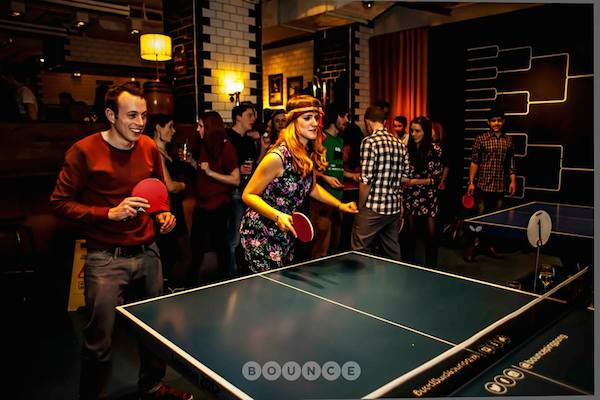 Bats and balls are all included in the table hire so all you need are team mates and an epic battle cry! 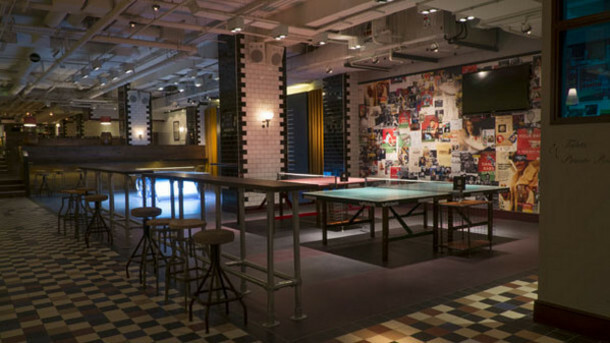 To wet your whistle in-between matches you can peruse the fully stocked cocktail bar nestled in-between the ping pong tables. 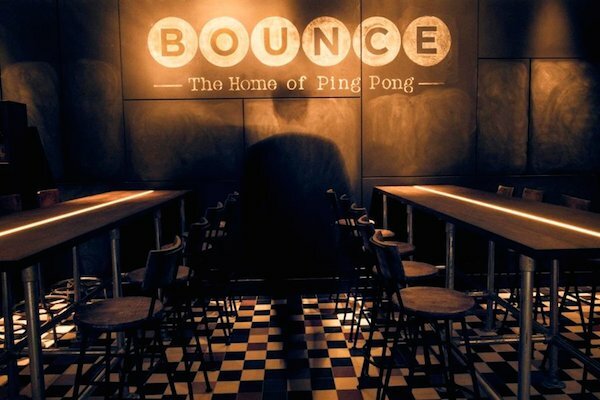 With cocktails inspired by the history of the local area and heritage of the game of ping pong you will be spoilt for choice. 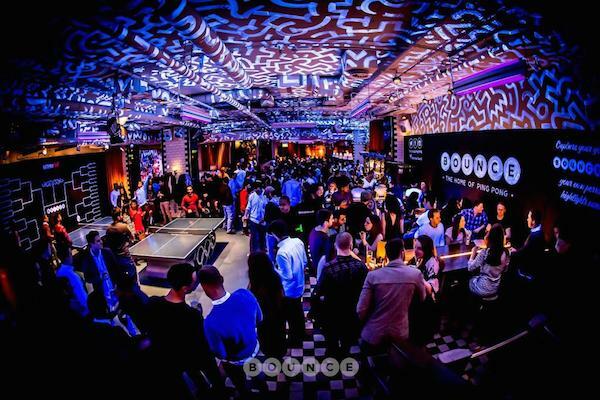 The restaurant offers a bar food menu, premium canapé choices and a lavish a la carte menu, giving you the choice to eat in amongst the action or in a traditional dining setting. 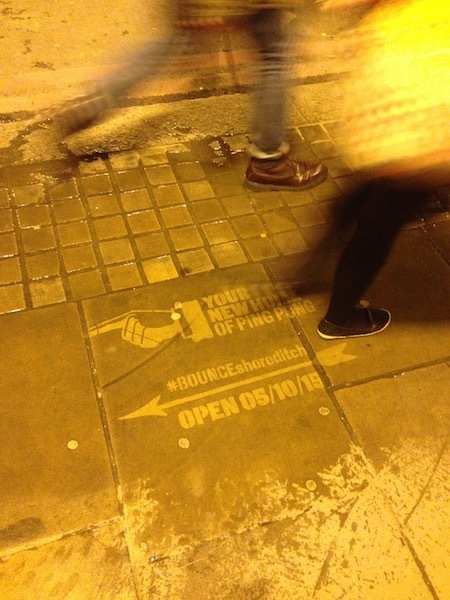 With such an unusual theme, Bounce needed an unusual advertising method. That’s where we came in! 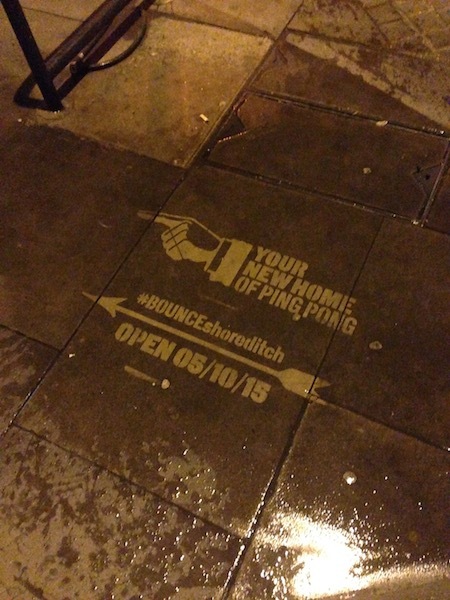 We placed over 50 Clean Adverts in Shoreditch and the surrounding areas guiding people to this new innovation in social! Clean Advertising or Reverse Graffiti is a different way to create a buzz about your brand or event. It is a guerrilla activity which can be placed on almost any pavement. 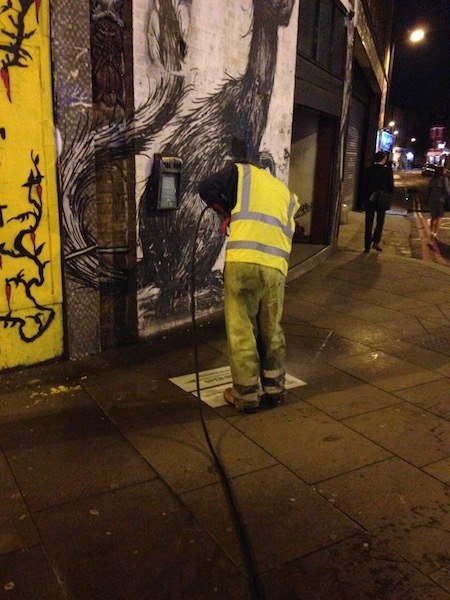 It causes no damage whatsoever and is essentially cleaning the pavement. The results are striking!